Concerned Belizeans have long advocated for young people to be granted greater access to education, and now, young people who are unable to afford a conventional education or who have fallen by the wayside because of their inability to complete their secondary school education do not just have a second chance at their dream – they can also be a part of history in the making by enrolling in Belize’s first online high school. Ethnelda Paulino and Alberita Enriquez, the co-founders of Kaina Online High School, told Amandala Wednesday that the online high school will offer everything mainstream high schools do – except that students won’t have to worry about uniforms, books, lunch money, bus money, and all the other expenses that are usually required. “Their rags will always be glad you know! You can be in pajamas and work,” Paulino said. For a $25 application fee and $300 a semester, students can learn online – with as little as three to four hours a day on the web – and work towards attaining a certified diploma. Practical training is also integrated into the curriculum. For example, those who choose agriculture will do a backyard garden. Enriquez said that there are times when students would want to study but don’t have the means, including those in rural areas. However, with the countrywide expansion of Internet services, online education would be accessible to young people even in more remote areas. “There are too many young people in Belize, even people who are older, who have not completed high school,” said Paulino. Without their diploma, they cannot access tertiary education, she stressed. Paulino told us that they have so far approved 13 students, and those still wishing to sign up can visit the online portal http://kainaohs.online.edu.bz/ to apply. On the drop-down menu, click “admissions” then “applications,” she said. Kaina is focusing this month, February, on receiving applications. Orientation will be held on Saturday, March 8, 2014 and classes start on Monday, March 10. Those who cannot make the Saturday session can request a rescheduling from the school. The purpose of the orientation session is to acquaint students with using the online platform. While teachers and students won’t have to be present in a physical classroom, there will be plenty of opportunities for them to interact via chat rooms, teleconferencing, and virtual hangouts. The classes will be 15-20 persons maximum, so when the quota is filled, a new class will be started, Paulino said. Kaina says that it strives to offer its students the most modern, comprehensive, and relevant courses in today’s society. The school will offer all the core subjects, as well as electives, including agriculture, clothing and textiles, grooming, and food and nutrition. “These courses are geared to help the student grow intellectually, creatively, culturally, physically and socially,” Kaina indicates. In November 2013, Kaina officials sat in a meeting with a committee from the Ministry of Education, detailing their plans, in an effort to convince them why the online school should be established. Instructors attended a workshop in December. The founders say that they have a cadre of highly trained and experienced teachers, including retirees with a wealth of knowledge. Among them are Carolyn Neal, an information technology teacher at Belmopan Comprehensive School who will teach IT; Rodolfo Sáenz de Ugarte of Spain who will teach Spanish; Raul Castillo, a retiree who Paulino says is probably the best science teacher in the country, who will teach science courses; and Elvira Pinelo of 4H who will teach Integrated Science. 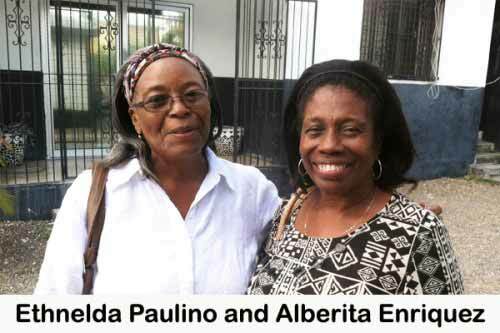 Paulino and Enriquez, English lecturers, will also teach in their area of expertise. Enriquez said that they are living examples of the success that can be attained with online education. She told us that this is how she earned her doctoral degree. The founders say that the school is not just limited to people in Belize. Young people in other parts of the Caribbean can also apply, as students will also be prepared to sit the annual Caribbean Examinations Council (CXC) exams. There are already queries of whether Kaina will offer post-secondary education, but the founders told us that any such expansion would have to come later. For more information, contact them at: [email protected] or telephone: 822-2283 or 802-2775.